Spanning a century of cinema, from a silent short of "The Tempest" (1907) to Kenneth Branagh's "As You Like It" (2006), Daniel Rosenthal's selection takes in the most important, inventive and unusual Shakespeare films ever made. Spanning a century of cinema, from a silent short of "The Tempest" (1907) to Kenneth Branagh's "As You Like It" (2006), Daniel Rosenthal's selection takes in the most important, inventive and unusual Shakespeare films ever made. From Oscar-winning British classics to Hollywood musicals and Westerns, from Soviet epics to Bollywood thrillers, Shakespeare has inspired an almost infinite variety of films. Directors as diverse as Orson Welles, Akira Kurosawa, Franco Zeffirelli, Kenneth Branagh, Baz Luhrmann and Julie Taymor have transferred Shakespeare's plays from stage to screen with unforgettable results. Spanning a century of cinema, from a silent short of "The Tempest" (1907) to Kenneth Branagh's "As You Like It" (2006), Daniel Rosenthal's selection takes in the most important, inventive and unusual Shakespeare films ever made. Half are British and American productions that retain Shakespeare's language. Alongside these original-text films are more than 30 genre adaptations: titles that aim for a wider audience by using modernized dialogue and settings and customizing Shakespeare's plots and characters. 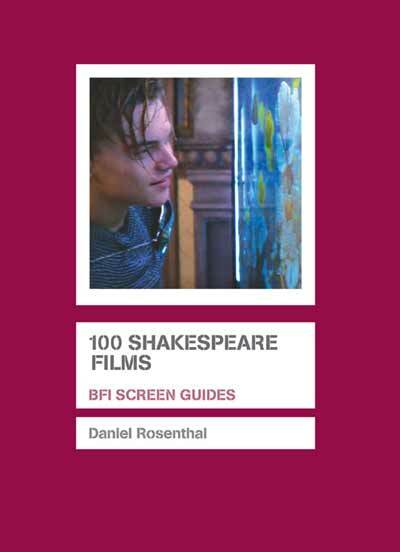 As cinema plays an increasingly important role in the study of Shakespeare at schools and universities, this is a wide-ranging, entertaining and accessible guide for Shakespeare teachers, students and enthusiasts.